This paper analyzes the complex nature of collaboration in hospitals. 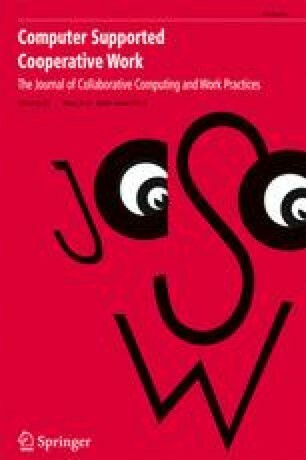 Information-sharing under different technological regimes and work organizations is examined with special attention to the role of different types of screen-based records. The need for supporting local practices, professional distance and the different world views of the medical and nursing staff and administrators is stressed. Four meanings of information sharing based on the idea of a ‘dossier réprésentatif’ are explored: (i) a core document of basic patient-related data which is shared by all organizational units and professions; (ii) using the (real time) transfer of data across a distributed environment to strengthen the opportunity for, dialogue; (iii) computer support for ‘browsing’ through a variety of folders that embed different practices; (iv) a unified dossier shared by a bounded collaborative ensemble.